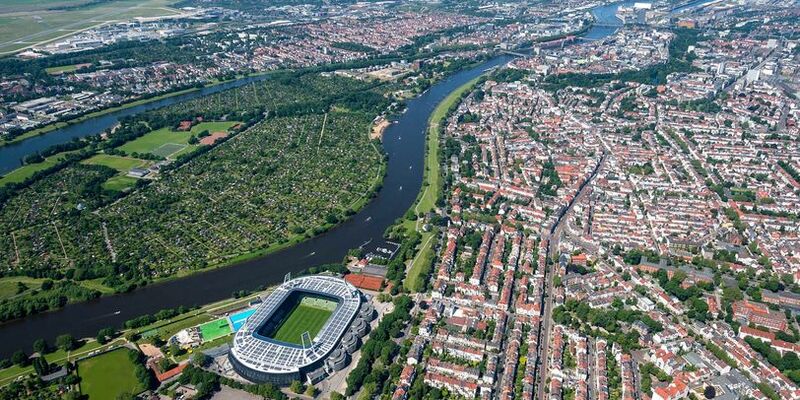 Under the title “Free and Outdoors” we’ve collected the recreational activities in Bremen with exactly those qualities. The offerings include open-air concerts, music and street festivals, nature, playgrounds, and cultural events – all free-of-charge and outdoors. 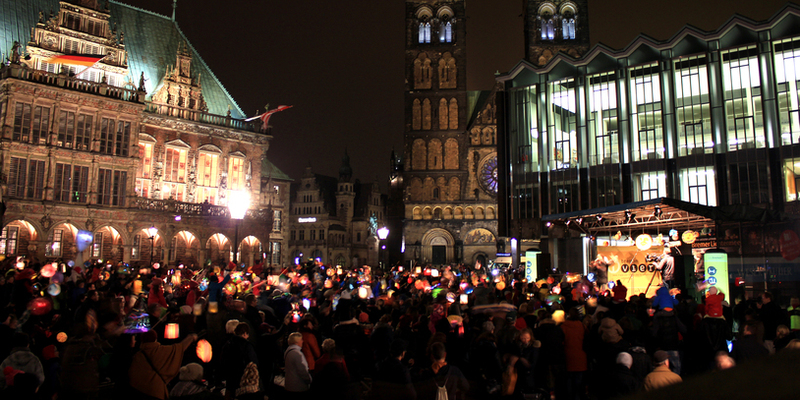 The festival being celebrated in Bremen is unusual – Bremen isn’t close to any of the areas where Carnival is celebrated in Germany. 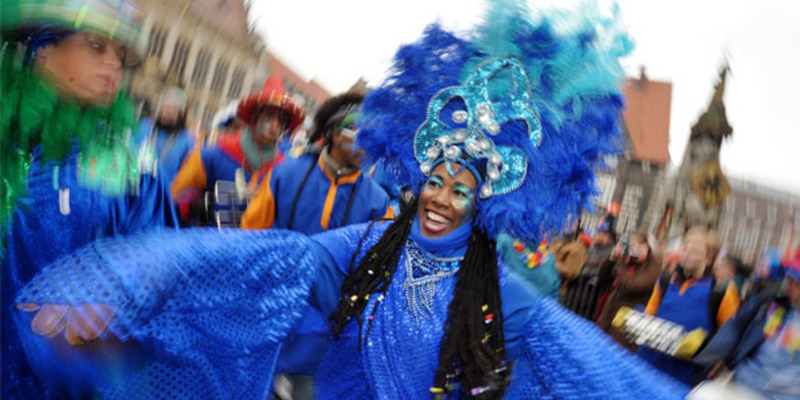 And then, it’s a samba carnival – not in Rio but in Northern Germany? Yes, every year, usually in February, the Bremen Karneval has rapid samba percussion beats and wonderfully colorful costumes. Join in with the celebration on the streets, free of charge. 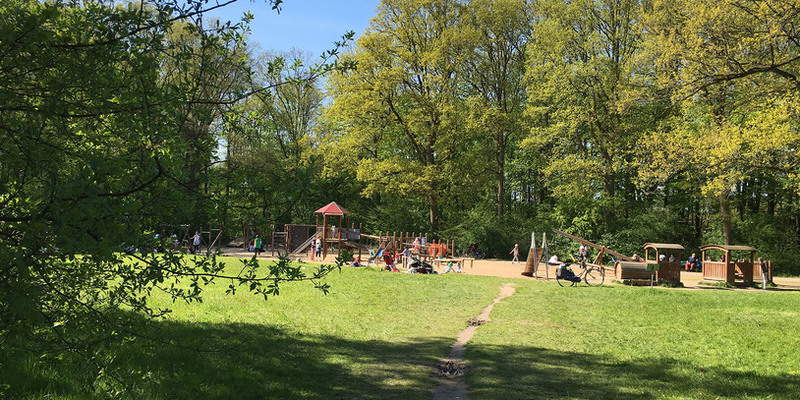 There are 2,311 hectares of green space in the parks and gardens around Bremen, where you can catch some rays of sun and not be a penny poorer. 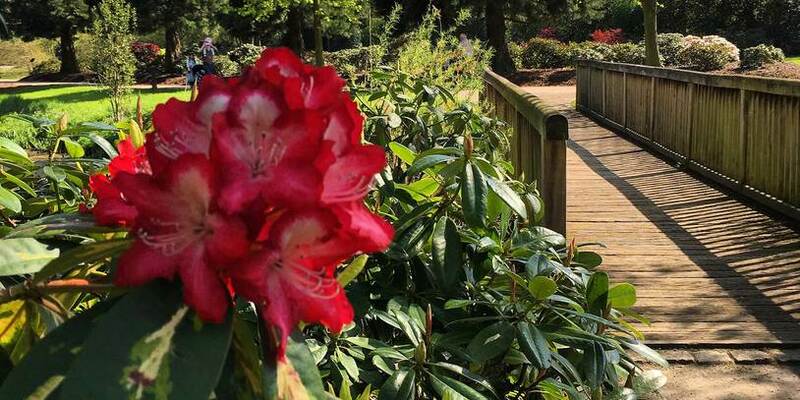 A special highlight is the show of flowers from April to the end of May in the Rhododendronpark, which has no admission fee. On the first Tuesday of the month in the spring and summer, Bremen skaters ride through the night. 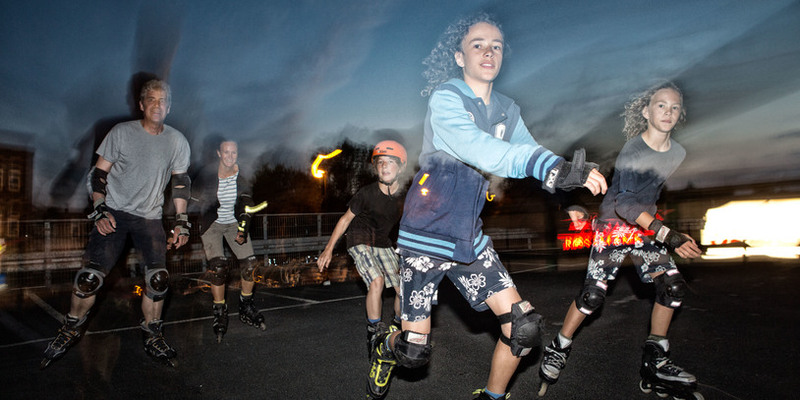 The Bremen Skate Night runs from May to September and has various fringe events. Just put on your skates, go the meeting point and join the fun free of charge. 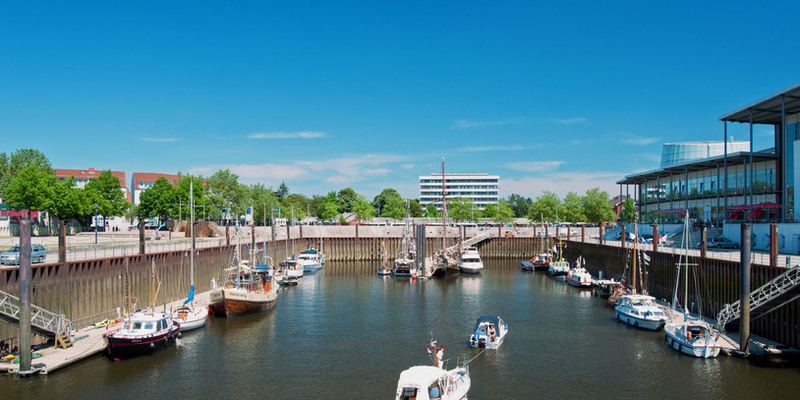 In Bremen North, they block off the first week of June in their calendars every year – that’s when the traditional Vegesack Harbor Festival takes place. All around the Museumshaven in Vegesack, there are culinary offerings and three stages of free music. At different venues, the international Fête de la musique presents various genres of French music - from classical to pop, from jazz to folk. All without an admission price. When the weather’s fine, what could be nicer than taking the little ones to a playground? In the Family and Children section, you’ll find a map with all the playgrounds in Bremen. Further inspiration for things to do with children is under Tips for Families. 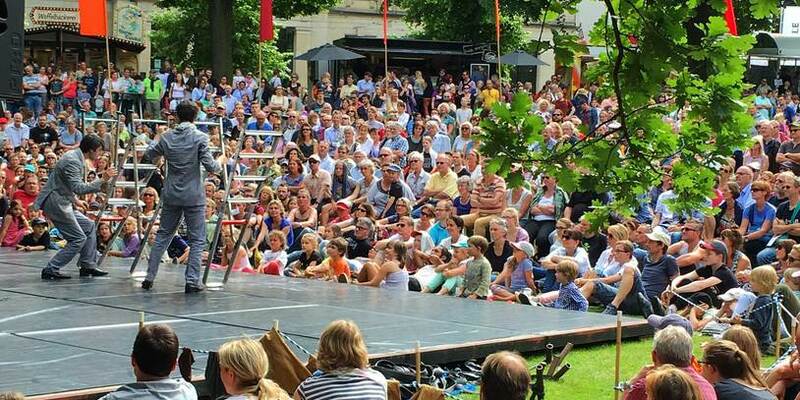 At the beginning of every summer, the squares of Bremen turn into arenas and its streets function as circus tents for La Strada: Three days full of theater, dance and acrobatics at the Marktplatz, Domshof and on the Wallanlagen. 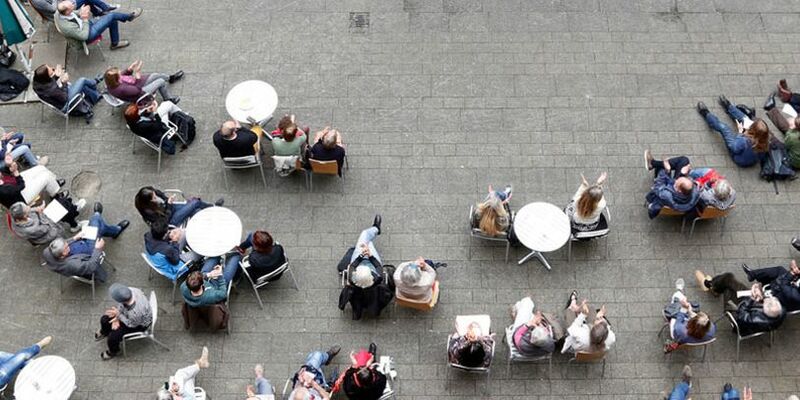 The yearly program is outdoors and free of charge. Das Straßenkunstfestival La Strada begeistert Groß und Klein. 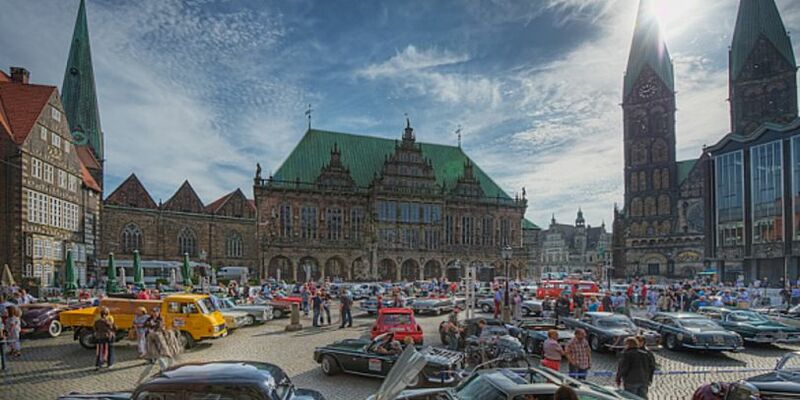 Every year up to 40 different types of vintage cars gather together at the Marktplatz in Bremen for the Bremen Oldtimer Classics. It’s the starting point for a rally that goes through the countryside of northern Germany. 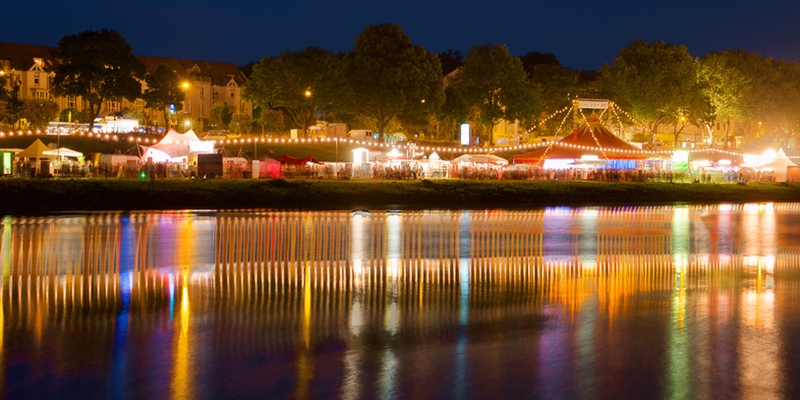 One of Bremen’s most beloved cultural festivals is the Breminale on the Osterdeich. Five days of music, art and culture, without an admission price, makes it a highlight of everyone’s summer. Die Breminale taucht die Weser und den Osterdeich in festlich-romantische Stimmung. The temperatures are rising you’d love to take a dip and cool off? 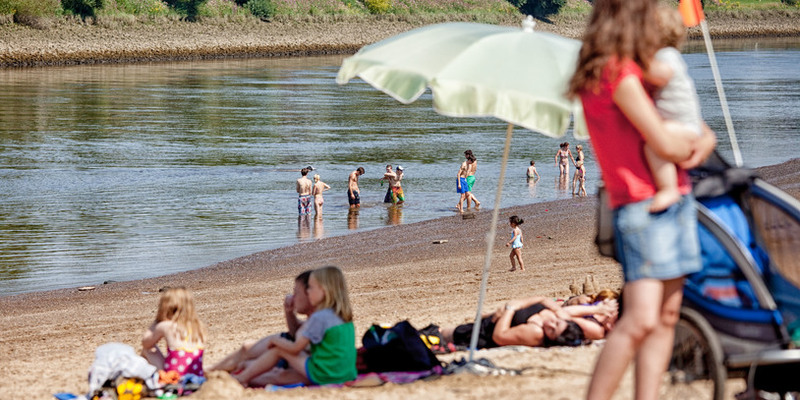 The places to swim in Bremen are diverse: Swimming spots along the Weser River or in lakes offer a cool-down at no cost. Anfang August kommen Fans von maritimen Folk, Rock, Shanties, Schiffen und Meer beim Festival Maritim in Vegesack voll auf ihre Kosten. Musiker aus der internationalen maritimen Musik-Szene präsentieren ihre Songs vom Meer. 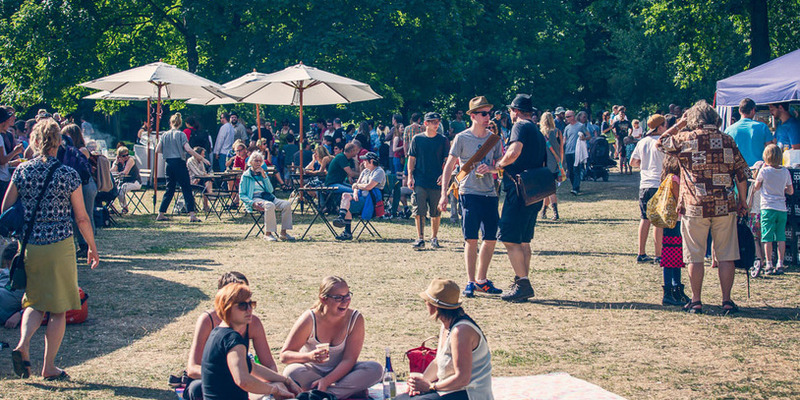 There’s another beloved open-air highlight in Bremen, in the Neustadt: The Summer Sounds in August invite you to enjoy music, a summer garden and regional delicacies. Around 8,000 visitors party for free, outdoors on the hilly Neustadtswallanlagen. 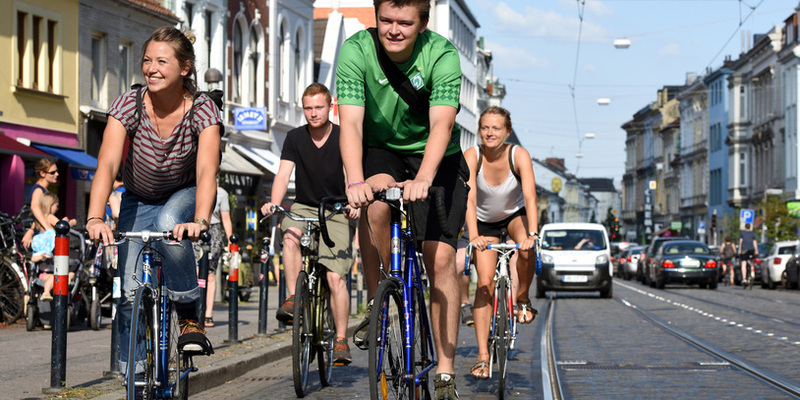 Although the citizens of Bremen ride their bikes all year round, in every kind of weather, it’s especially nice in the summertime. You’ll find tips and routes for your next bike ride under BIKE IT! 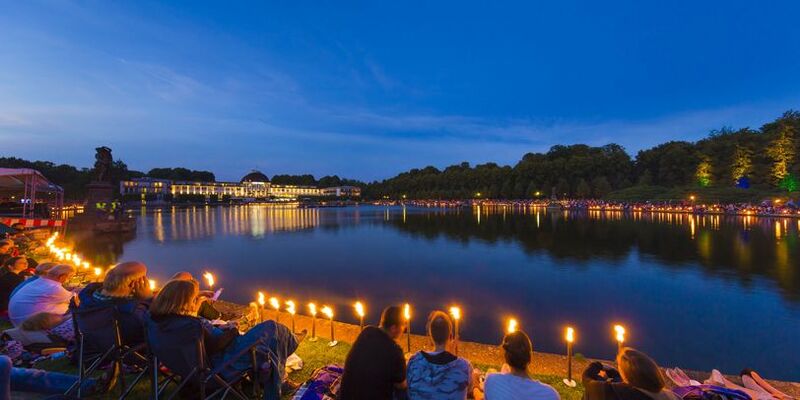 You know the summer in Bremen is coming to a close when the event Musik und Licht am Hollersee (Music and Light on the Hollersee) takes place. Classical music illuminated by tikki torchlights. Find yourself a spot and enjoy the spectacle, free of charge. In Autumn, it’s time to prick up your ears and listen: The international storytelling festival in Gröpelingen, Feuerspuren, has storytellers of all ages who tell tales in many languages, in unusual locations. 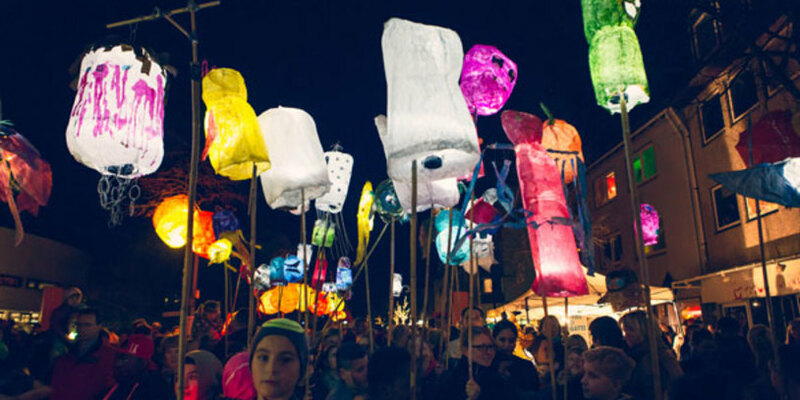 In November, the colorful lanterns of Bremen’s largest lantern parade turn the Marktplatz into a sea of light. A wonderful display of light for young and old. You know Bremen like the back of your hand, and yet when go to lead guests through the city you’re at a loss for words? The Bremer Touristik-Zentrale offers a free audio guide for adults and children in MP3 format to download for free. Der Auftakt findet traditionell am Bremer Marktplatz statt und zieht dann durch die Stadt. Start- und Zielort: Hansa-Carré Pfalzburgerstraße 41. Im Museumshaven Vegesack wartet ein umfangreiches Musikprogramm. Neben dem Institut français gibt es folgende Spielstätten: Hochschule für Künste Bremen, Konzerthaus Die Glocke, Unser Lieben Frauen Kirche Bremen. Das Zirkusprogramm findet in den Wallanlagen und dem Marktplatz sowie dem Domshof statt. Der Bremer Marktplatz verwandelt sich in den Showplatz der Bremer Oldtimer Classics. Die Breminale erstreckt sich über den gesamten Osterdeich. 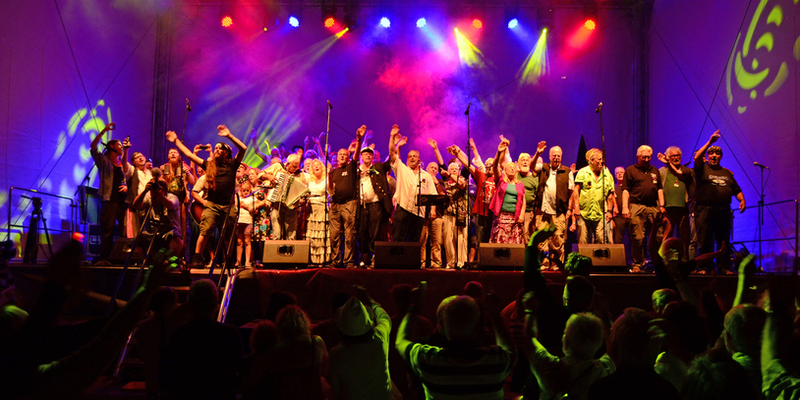 Maritimes Flair mit viel Musik. Die Neustadtwallanlagen beheimaten das Summer Sounds Festival. Rund um den Hollersee im Bürgerpark versammelt sich das Publikum für die Komposition aus Musik und Licht. Die Lindenhoftstraße in Gröpelingen fungiert als zentrale Achse des Erzählfestivals. Das Bremer Lichtermeer startet am Marktplatz.